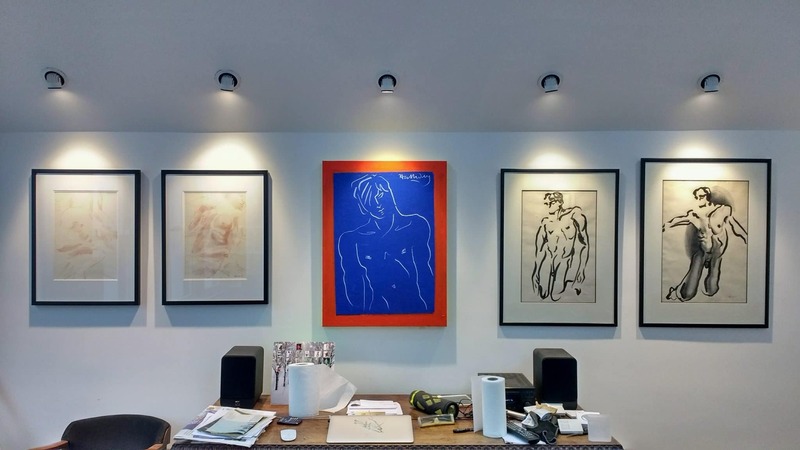 A gallery install of male nudes, hung above a desk. in-built spotlighting means business. Published January 11, 2017 at 4160 × 2340 in A gallery install of male nudes, hung above a desk. in-built spotlighting means business.